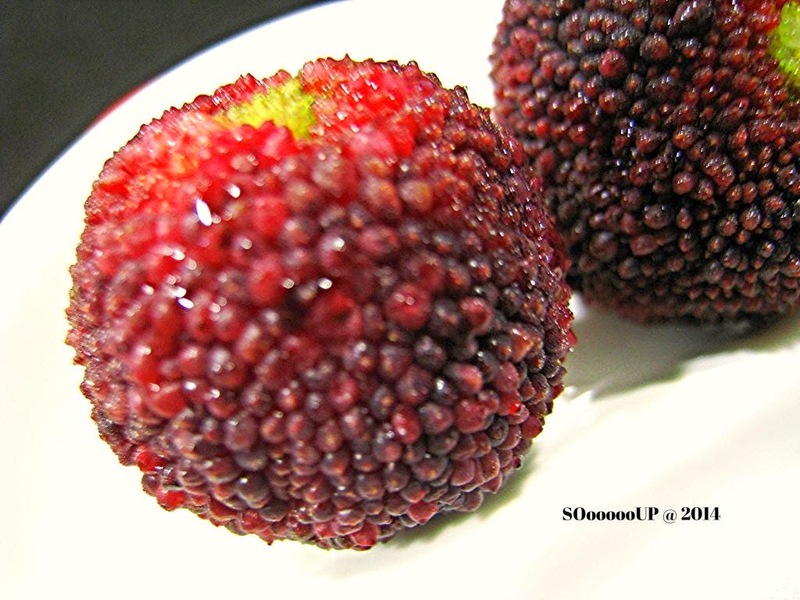 Yumberry (杨梅) is also known as the Chinese bayberry, waxberry or Chinese strawberry. 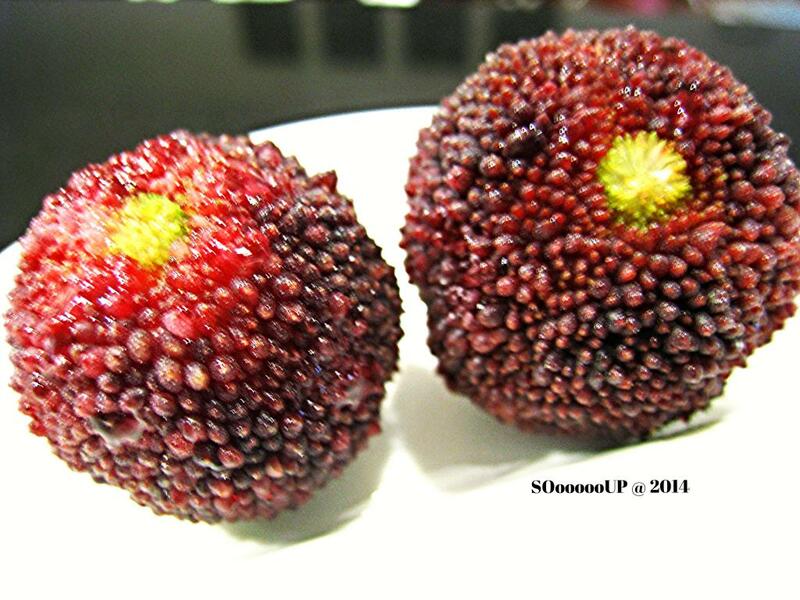 The outside of the fruit is completely bumpy, but it has the consistency of a seedless strawberry. 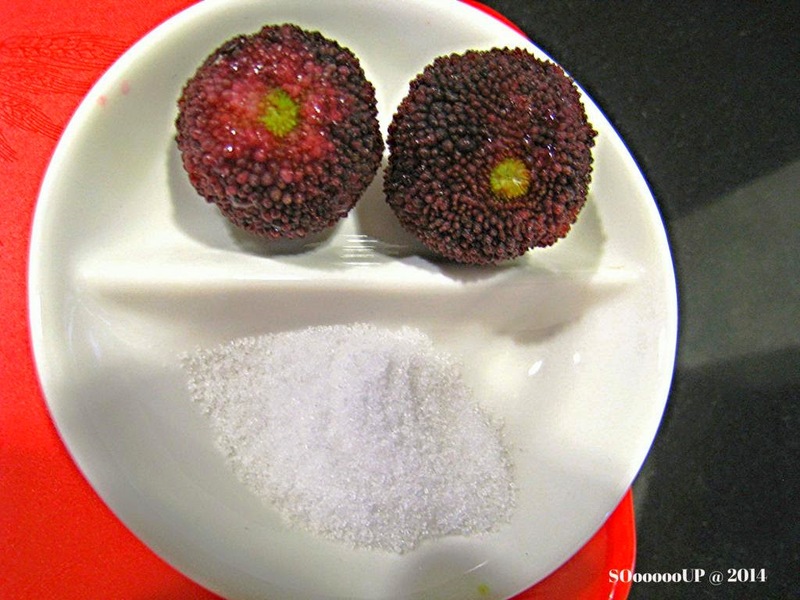 It is sweet and sourish tastes, which we dip it in salt before eating to cut out the tartness. 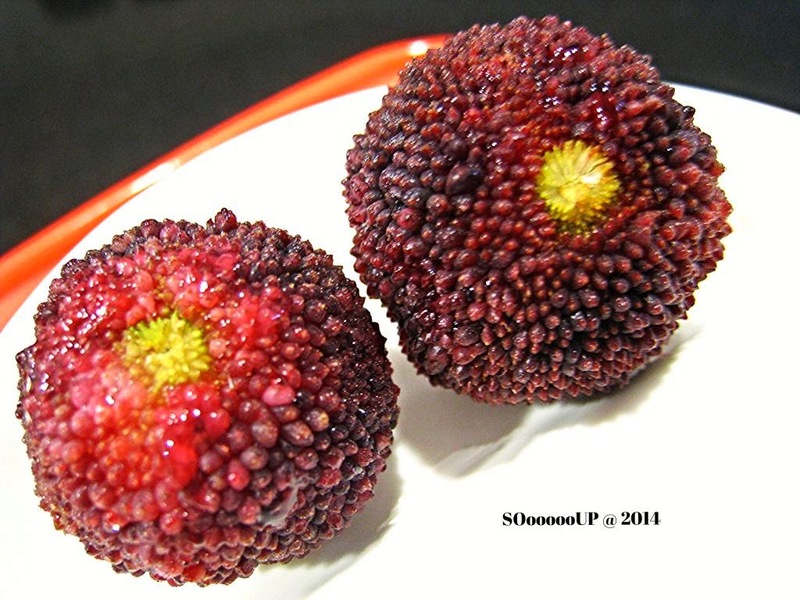 It is not cheap and you are luck if you manage to get your hands on some in Singapore, as the season only lasts one or two months from June to July.